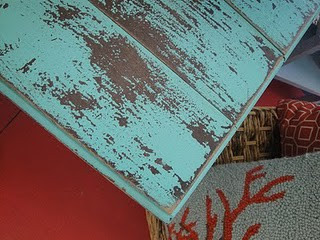 Pinterest has given me so many ideas and a long to-do list and wish list! Here are some recents pins... you can find all of these and links to them on my Pinterest page. If you aren't on Pinterest and need an invite, email me at annajenk at yahoo dot com. I'll invite you! 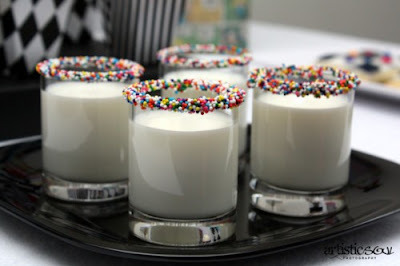 Aren't these fun for a kids party? Abby Lu's party will be a breakfast/brunch party, so I'm hoping to do this with the milk. I wish I'd had it during her milk and cookies party last year! I really want to paint my coffee table and my kitchen table. Both are dark wood and haven't managed a busy kid very well. I want to beat them up intentionally! There are so many fun quotes pinned on my "Don't Quote Me" board. 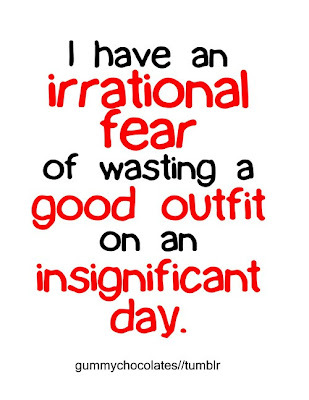 This one is so true- I sometimes take an outfit off to save it for a more important day when I'll see more people. Irrational for sure! I pinned this on my Christmas gifts board... as a joke! 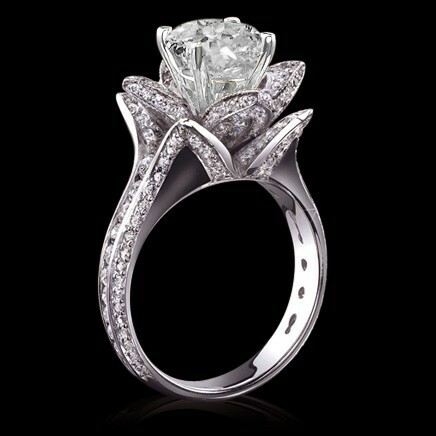 I do love it though and would love to see the view from the top of the ring. It is beautiful! How smart is this? If I ever build a house, I'd love to have a big laundry room and this would be in there! 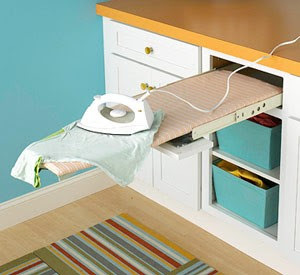 I hate dragging out the noisy ironing board! I just love this bedding- it would be so pretty for a little girls room. It is from Neiman Marcus, but pretty reasonable considering. I created a "Helpful" board for things like this. 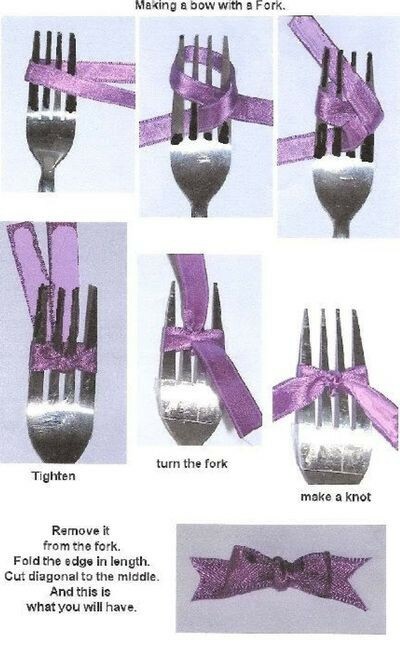 Or, how to fold a fitted sheet. That is important stuff that I have yet to master. There are so many recipes in blog land that catch my eye and I love having them all on Pinterest. I need to break them apart into categories because my food board is all kinds of full! 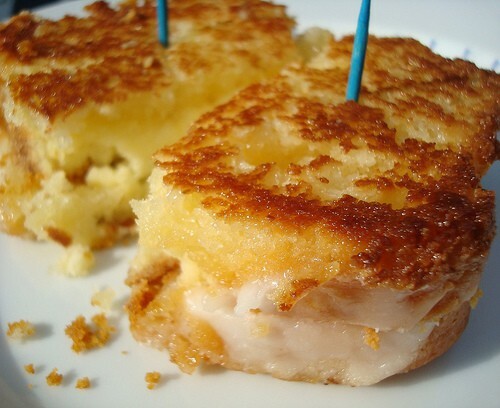 This is a grilled cheesecake sandwich- pound cake with cheesecake inside, toasted with butter and sugar. Pound is the operative word! I love having a holiday board- all kinds of ideas that I don't need for months, but won't find in months. 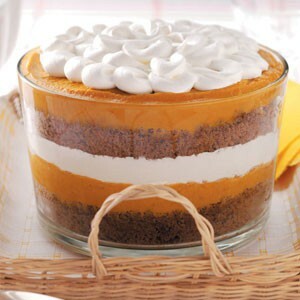 This gingerbread and pumpkin trifle looks beautiful. 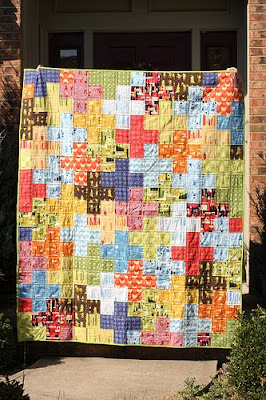 My Mother and sister can quilt... think I can talk them into making this for me? Isn't it simple and pretty! I love quilts and happily have a collection of new and older blankets from family that has passed. There is something so inviting and comfortable about a quilt. I really love this one, too! I'll start sharing my pins more regularly on the blog- it is just such a fun creative place to be right now. Happy Pinning!